The Bhutan Agriculture and Food Regulatory Authority (BAFRA) has sent samples of Maggi noodles to Thailand after Indian Media reported that it contained high amount of lead and Monosodium Glutamate. Monosodium glutamate is a flavour enhancer used in many processed food. The noodle samples are also being tested at the National Food Testing Laboratory in Yusipang since yesterday. Jamyang Phuntsho from the BAFRA said they are testing the samples here to compare the results. The dietician at the National Referral Hospital, Kezang Metho said that Monosodium Glutamate or MSG is a taste enhancer contained in most of the processed food including Maggi which is not good for health. 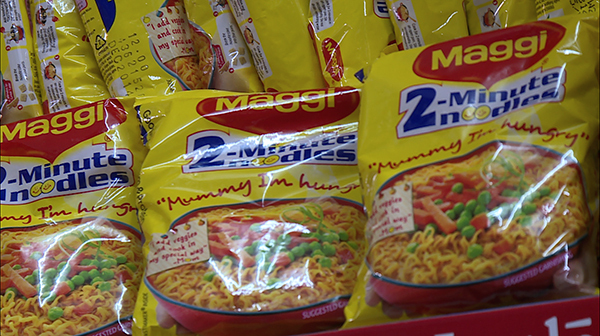 According to Indian Media, food inspectors have asked Nestle India, the manufacturer of Maggi noodles to recall a batch of its products from shops in Uttar Pradesh. However BAFRA said they cannot do so, until the results are out. The test results will be out by this week. If results are positive, the products would be recalled or banned.